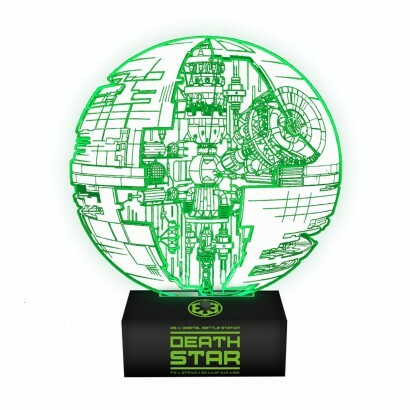 Darth Vader's Death Star planet destroyer bursts to life in striking green light in this optical illusion lamp. 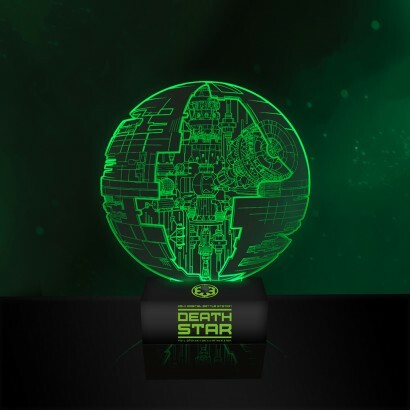 An acrylic plan of the Death Star sits on an LED light base illuminated from below revealing the inner workings of the planet destroyer as seen on the latest Star Wars story Rogue One. Star Wars fans of all ages will love this unique light that glows in ethereal green for spell binding effects worthy of the Force!